Password Security Habits #Infographic ~ Visualistan '+g+"
When was the last time you changed your password? If you’re like most people, your first thought was which account are you talking about? 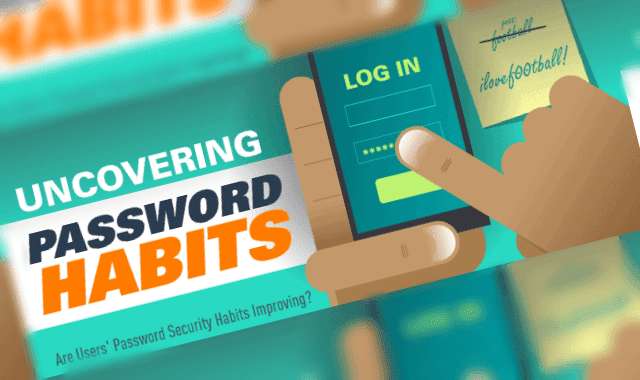 The average email in the United States is associated with 130 password protected accounts, and most users report having more password protected accounts than they can even remember. It’s no wonder people aren’t able to keep up with changing passwords and making them secure! If you want to ensure your password protected accounts are secure, you will need to create unique passwords for each account and change them regularly, never reuse old passwords, use passphrases for added security, use multi factor identification, and never store your passwords in plain text. If you can, use a password manager to help you manage the various passwords. Learn more about password practices by age group from this infographic. You might be surprised to learn that the digital native younger generations are not leading the way to safer password practices!